Do you have a plan for your retirement that includes long-term care? More seniors than ever are questioning whether they have enough support to live into older age, especially with the risk posed by long-term care costs. Most people know that rooms in a nursing home or at-home care can be extremely expensive, but those same people are not sure where to start with the planning process. They frequently get overwhelmed and confused and decide not to take any action at all. But failing to include long-term care could lead to serious problems and issues. It could cause some seniors to file bankruptcy after just one major medical event. A new study completed by the Consumer Bankruptcy Project indicates that seniors report that they are struggling with unmanageable costs of health care and inadequate income to match. A rising number of older Americans are filing for bankruptcy, since long term care costs are one of the leading factors of rising costs in older ages. 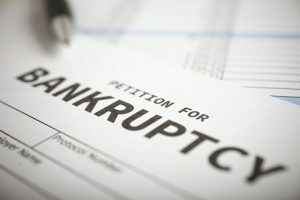 The rate for seniors aged 65 and over, filing for bankruptcy has more than doubled since 1991, according to researchers. The percentage of elders in the bankruptcy system has also quintupled. Seniors say that the rising cost of health care is a leading reason why they are forced to consider filing for bankruptcy. The median bankruptcy filer reported a negative wealth of higher than $17000. Non-bankrupt counterparts, on the other hand, had around $250,000. More seniors are covered by low paying Medicaid and more seniors are less likely to pay their own bills. Many companies are phasing out retirement plans, which has corresponded with the significant drop in retirement benefits across the country, putting the elderly at risk. Combine this with increasing longevity numbers that are also followed with a high chance of having to pay for long term care at some point during retirement and this puts your elderly loved ones at risk for significant consequences and problems when it comes time to pay for health care costs that are unexpected. Even one health care event for an elderly couple could expose the other spouse to significant financial issues. Hire an estate planning lawyer who is there to answer your questions.